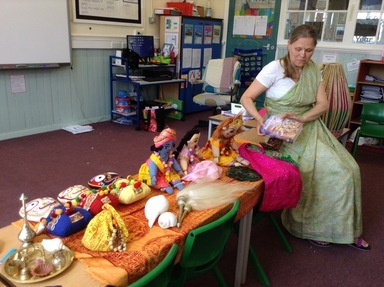 On Tuesday, Year 4/5 has a special visit from a Hindu Priestess called Kirtida. 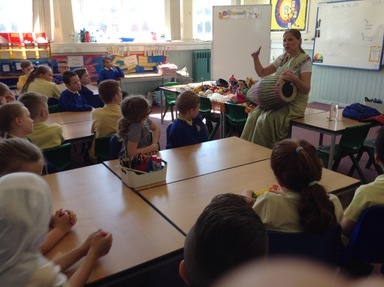 She talked to the children all about Hindu prayer, Gods and clothing. 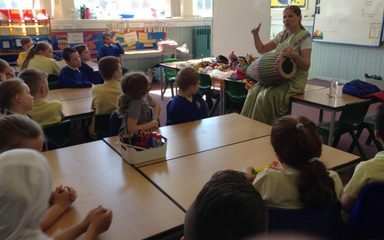 She answered a whole range of questions from the children. 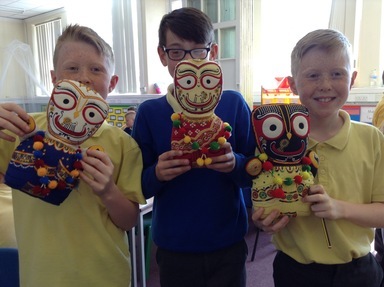 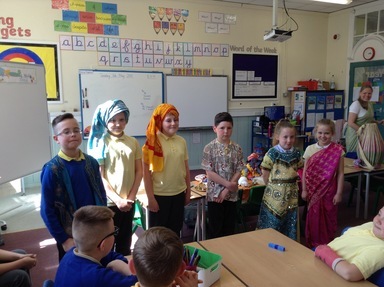 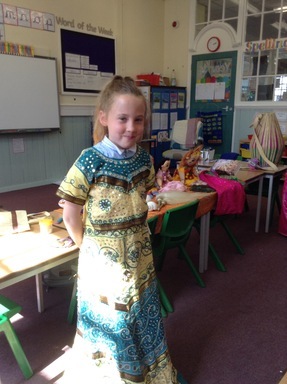 They even had the opportunity to try on some special Hindu clothing.